Is your car passenger-ready or is it in need of a declutter? What if that passenger was your mother-in-law or boss – still happy to offer a lift? What if it was your mother-in-law/boss who also needed to throw a few bags in the boot or they needed to charge their phone and pop their sunglasses into the glove box? Decluttering is an increasingly popular trend and advocates believe it has a positive impact on well-being. According to Marie Kondo of hit Netflix show, Tidying Up With Marie Kondo, decluttering isn’t just about appearances – it has psychological benefits too. Her slogan is “Inner peace through outer order”. Given that we spend a significant amount of time in our cars, it would make sense to include the mantra in our cars as well as our homes and workspaces. With that in mind, we’ve compiled some tips to help you declutter your car and keep it that way. Whether you want to achieve peace or simply avoid embarrassment, we’ve got you covered! To declutter a car properly it’s best to remove all the items first. After you pile them up on the floor you can categorise them. Don’t keep junk in your car. Take out a big recycling bag, bin bag and charity shop bag. Do you really need 43 empty coffee cups? Recycle. What about the outdated road map your dad gave you twenty years ago? Recycle. Cracked Spice Girls CD? Seriously. Bin. Continue until you have dejunked. If in doubt – chuck it out. Decluttering is harder than simply de-junking. The basic rule of thumb is to be brutal. Simply do not hold onto items you don’t need. Dozens of possessions can be kept in the car because we think we might need them some day. Have you used it in the last 12 months? If it’s not a safety item or a daily necessity, chances are, you probably won’t need it. Ever! Once you’ve decluttered your car, you can start organising it. The key is to store everything in sight. It will become easier to reach your possessions and make sure you are actually aware of what is being stored in your car. If you put every item in sight, you will also increase the chances of it being used. 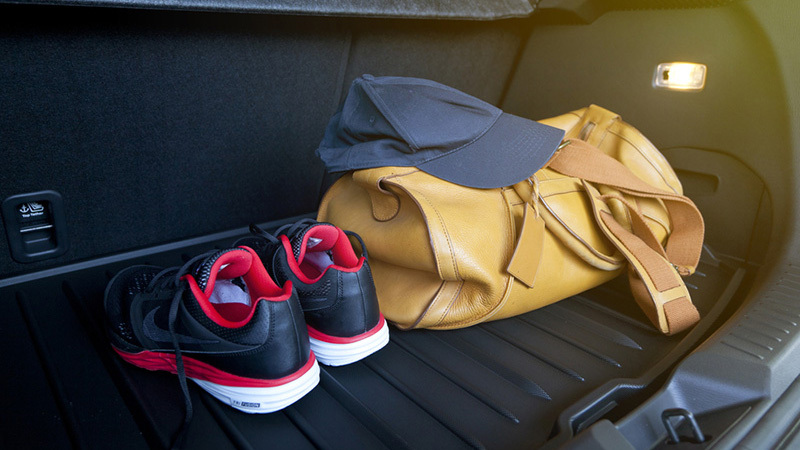 To make future cleaning easier you can use baskets to store things in the boot. That way the items won’t be dislocated during travelling and will be very easy to remove for car cleaning. You wouldn’t keep everything loose in your home – why do it in your car? While you’re feeling organised, give your car insurance the once-over, too. Call Complete Cover Group for a quote and see if we can save you money on your renewal.